Have you heard of Twitter Cards? If not, you’re missing out on a work-around to the 140 character limit that can many times constrict marketing efforts on Twitter. Twitter Cards are a way for you to embed rich media that don’t count towards your character limit, opening up new ways to increase your conversion rate! Here are 5 tips from GaggleAMP for using Twitter Cards. USE IMAGES. As with every social media platform, GaggleAMP highly recommends the use of images to increase engagement. In fact, Tweets with images attract 18% more customers, 89% more favorites, and 150% more retweets! With statistics like that on your side, you’ll want to choose images that are worth more than 1000 words. Twitter supports images up to 560x750px for high definition displays. UTILIZE BOLD TEXT. With every Twitter Card, you get a line of bold, clickable text. Don’t just throw any old title up there - use this conversion opportunity to the fullest by creating a concise, highly engaging title that people will WANT to click on. 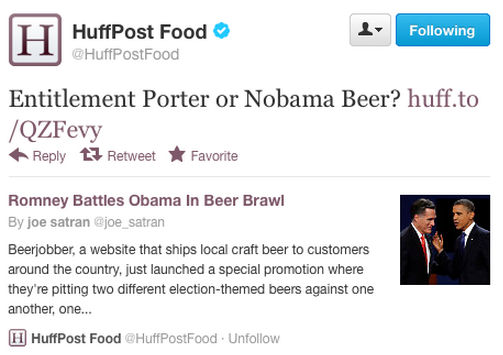 @HuffPostFood and @HuffingtonPost is expert when it comes to the bolt text title. DON’T FORGET THE DESCRIPTION. While the rich text link opens up an unlimited source of marketing, you do still only get a 200 character limit to the description snapshot on Twitter. This is the best way to drive home the title and capture users who are on the fence about clicking through. Put on your journalist hat and write a witty or provocative description to finish the job. USE PLAYER CARDS. We should say, use player cards when appropriate, of course. Player cards are a way to post snippets of audio to give users a taste of podcasts or audio files you’re directing them to. So make it short, sweet, and leaving the user wanting more. DON’T FORGET THE USUAL. Hashtags and @usernames to get cross-engagements and tap into as many potential networks as possible. Use the twitter:site and twitter:creatorto get two @usernames out there with your Tweet, the main one for your publication and another for the writer, artist, seller, contributor or user of the media you are sharing on Twitter. Twitter Cards help you make the most of your Tweets. Follow these tips to best utilize your Twitter Cards for your brand’s social media marketing purposes. Let GaggleAMP help you better utilize Twitter as a part of your social strategy!